Apricot-yellow buds open to cupped shaped rosettes about 4inches across. Apricot with yellow reverse blooms. Vigorous climber with good repeat-flowering. 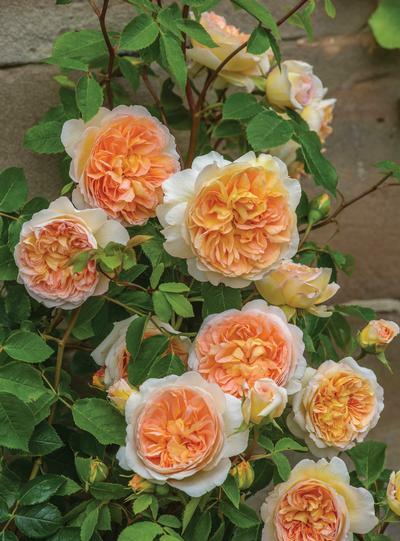 Thinking this rose was named after the bible character, it is instead, named after the heroine of Thomas Hardy's novel "Far from the Madding Crowd".